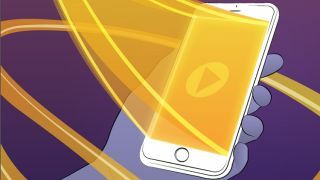 When dealing with the all-too-real scenario of streaming video in a bandwidth-challenged application, there are a few simple steps that can be taken. For further fine tuning, numerous next-level adaptive and dynamic technology tweaks are available. Here are 11 tips that will take you from the first level of establishing low-bandwidth streaming ground rules through to more advanced techniques for tackling technical difficulties. Kirsten Nelson is the Editor-at-Large for Systems Contractor News. Compression reduces the resources necessary to store content as well as transport it. There can be some quality compromises—most video compression is lossy, and artifacts can pop up in highly compressed video. Adaptive bit rate streaming automatically detects a user’s bandwidth and CPU capacity, and then adjusts the quality of the stream according to those parameters. This happens on the fly thanks to pieces of the content that have been pre-encoded at different bit rates. When these segments are strung together based on an individual users current situation, it provides a better user experience. Video is composed of still images (individual frames), and the frequency of the display of consecutive images within the sequence is the frame rate. Generally, the frame rate is expressed in frames per second or FPS. This diagram expresses varying frame rates visually, depicting how the amount of content can vary greatly over the same interval of time. Decreasing the FPS can be helpful for streaming in low bandwidth areas.